as something new compared to mince pies (which I remember making a post for this time two years ago.) 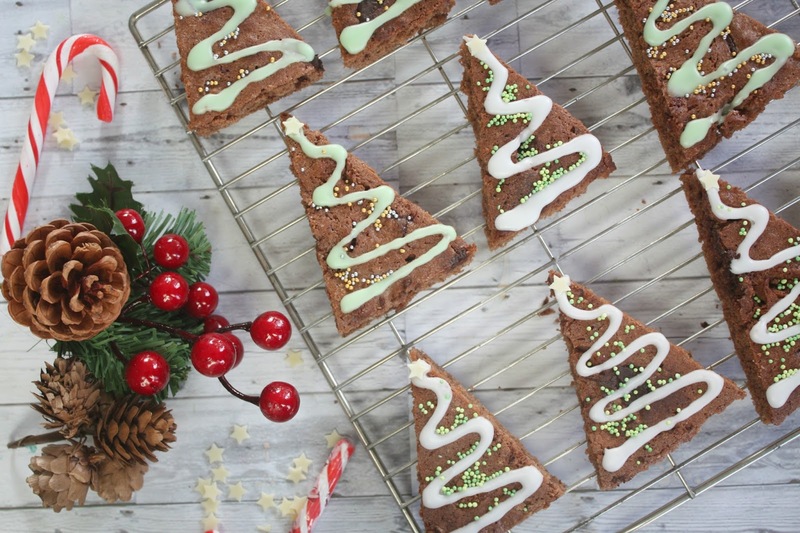 This is such a cute idea if you're looking to make some cute treats for friends or family coming round during December, and while I stuck to your typical brownie recipe you could also add all sorts of festive flavours like cinnamon, peppermint or mincemeat to them... it's entirely up to you! 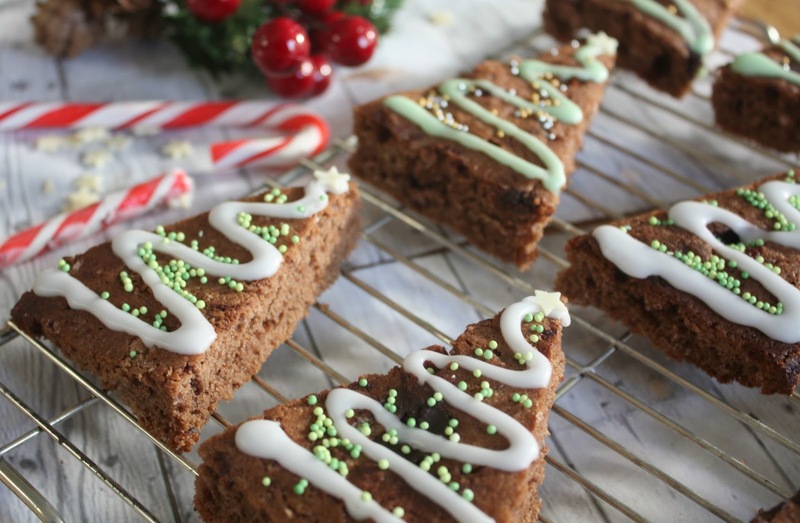 So just grab your baking essentials, some chocolate and a whole lot of sprinkles and enjoy this recipe. 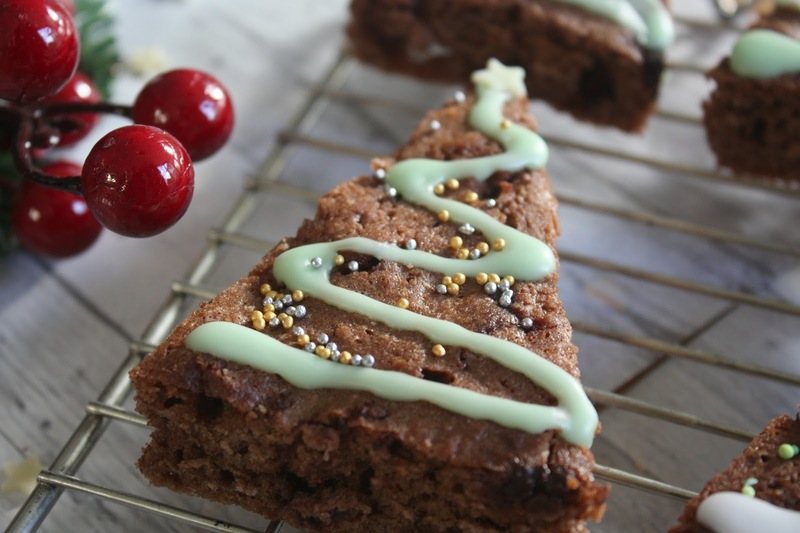 Also, let me know what other Recipes you'd like me to try out on my blog this Blogmas season? Feel free to drop me a message on my twitter and I will try my best for you guys because Christmas food is my absolute favourite. Step One: Preheat the oven to 180c. Step Two: In a bowl mix together all your brownie ingredients in the order they're listed until in a chocolatey batter, and spoon into a greased baking tin. Step Three: Bake for 20-25 Minutes and take out to cool. 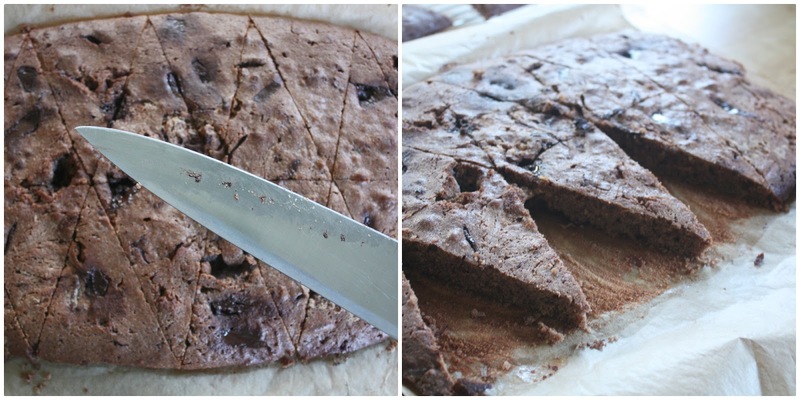 Once cool, use a knife to cut triangles from the brownie in a similar way to the pictures above and set aside. Step Four: Make your icing in two seperate bowls, one for white and one for green, by slowly adding a teaspoon on water to the icing sugar until is forms a smooth paste (but not too runny!) Now pop this into a piping bag and drizzle over your brownie triangles, half white and half green. 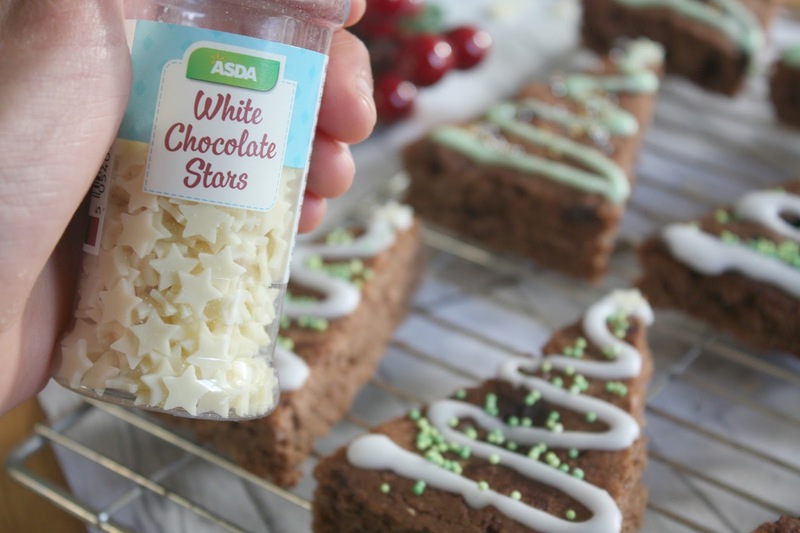 Step Five: Sprinkle with 100's and 1000's or any Festive sprinkles, and finish with a little white chocolate star at the top of each Christmas Tree. Cute or what? Hope you enjoyed and just a reminder, have you entered my Giveaways yet? I have 2 Running at the moment, both ending on the 25th of December so for the chance to enter my Christmas Gift-Bundle Giveaway or my Festive Phone Case Giveaway just click the links. One of you lucky winners could be getting an Xmas present from me if you enter! QOTD: ARE YOU A LOVER OR A HATER OF MINCE PIES? These look so good! You've done such a good job! These look amazing! I'm not very good at making brownies, but would love to give this recipe a follow! The brownies look delicious, might try this myself as the recipe is simple. I'm feeling for some sweet treats now, haha. These turned out so cute, love the colors! I made them last year and it was so fun! These might be the cutest brownies I have ever seen. And that saying something. I like to think of myself as the brownie expert. 😂 No but seriously these look awesome! These brownies are adorable - this sounds really stupid but I've never thought to cut brownies in any shape other than square. May have to give these a go though as I'm now hungry! These look so yummy! Definitely need to give these a go! 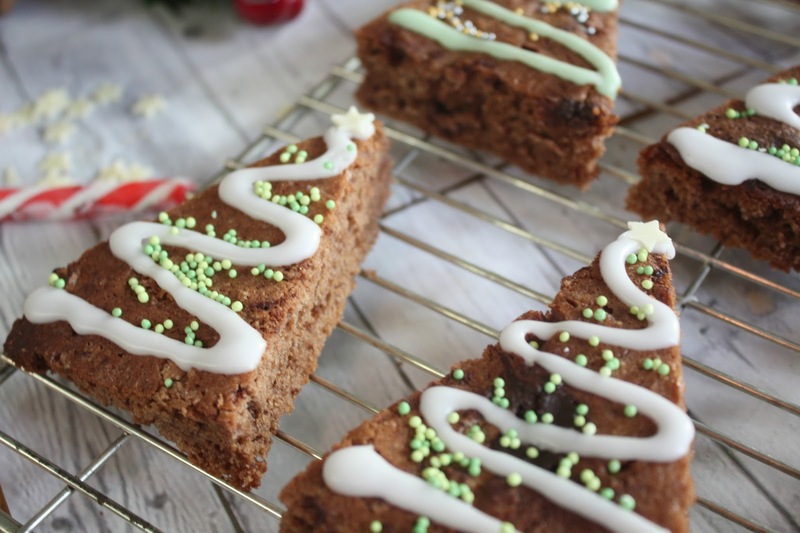 Hi, these look delicious and so easy to adapt to make dairy free, I shall perhaps try these next Christmas. My Cosy Christmas Eve Essentials!